Germany is one of my favourite countries in Europe to go exploring because it’s so easy to get around – they have a world class transport network of trains, planes and buses, and almost everywhere you can find clean, comfortable hotels for good value and well staffed tourist attractions. And of course there’s also the hearty meat-and-potatoes you get for every meal, not to mention brewpubs and beer gardens where you’ll definitely leave full. Many small German towns also have some wonderful art, culture and history that defy any impressions you might have about the country. Here are ten quick tips for smaller cities you might consider on your next trip to the continent. I have to admit – my favourite part of the Aachen experience are the baths and spa just outside of town. These are the old fashioned kind – the ones where hardly anybody speaks English, or at least they didn’t then – and there are pools of varying styles and temperatures. There’s one pool that has a bit with jets and you can just float around this big open circle. 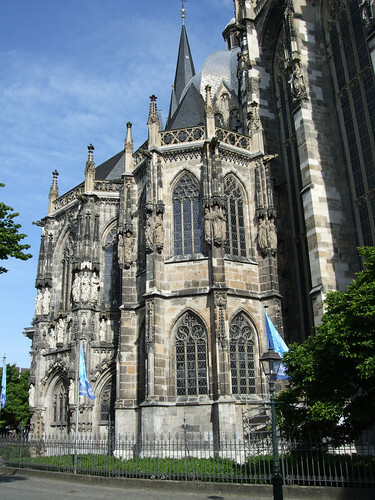 Otherwise, you might want to have a look at Aachen cathedral – one of the oldest in Europe – and many of the other historic squares; for hundreds of years this city was at the centre of empires that crossed the continent. Aachen is a great day trip from Maastricht, the southernmost city in the Netherlands. Many folk will know of Bremen because it’s a Ryanair hub – most get off the plane and grab the first train into nearby Hamburg. But Bremen is a wonderful stop in its own right, from its art deco shopping street to its iconic squares. Be sure to wander around some of the city parks – the city is a great place to come, relax and just have some fun. Trier is the oldest city in Germany, founded by the Romans – clear because many of the attractions, from the massive city gates to the Roman baths and amphitheater, are all from the Roman era. Wear some comfy shoes and soak up some history. Pforzheim is known as the ‘gem of the black forest’, perhaps because of its association with jewellery making. It’s a gorgeous little town and very much in keeping with the wonderful Black Forest area. Pforzheim also has a number of very good restaurants, mostly of the German variety, so come hungry. Nuremberg is well known to travellers for a few reasons: it’s home to one of Germany’s most spectacular Christmas markets, only during November and December. It was also the political home to the Nazi Party, and some of the Nazi’s leftover buildings and structures are a testament to what power and strength this group had during WWII. But don’t miss Nuremberg Castle and the lovely squares and streets around the city. Would you believe that this tiny little town was once home to the tallest “skyscraper” in the world? That massive building was, of course, Ulm cathedral, and even today it is the tallest cathedral spire in the world. Albert Einstein was born here, and the city centre is perfect to sample the little shops or go for a walk along the river. 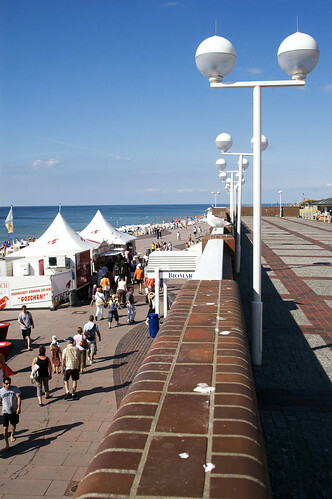 Sylt is the northernmost island in Germany – yes, Germany has islands – and it’s a popular summer beach resort, making for a great alternative to Brighton or Cornwall. You should go now – strong ocean waves are pounding this island and soon it will disappear. Beyond the beaches there are also some lovely strips of green countryside good for walks and strolls. Just a short ride out of the town of Fussen, is home to one of my very favourite places in Europe: Neuschwanstein Castle. It’s that fairytale castle that Disney modelled their own after. The castle is the main attraction here, but I’d encourage you to go for a short hike up the trails around the castle, and look around – the views of the Bavarian farmland countryside is breathtaking. Kolbenz is a popular stopping point for those on ferry tours of the Rhine Valley; it is easy to spot due to the Deutsches Eck (German Corner), where the Mosel and the Rhine rivers come together. Kaise Wilhim is the massive statue here, and this spot is a great hangout to watch the boats go by. In Koblenz, there are several very good German restaurants, and along the way note all the weird sculptures – some good, some bad, and some, well… you’ll see. Potsdamn is a smaller town found out on the outskirts of Berlin – I suspect someday it will just be a suburb. Its home to a number of UNESCO world heritage sites and amazing attractions, like Park Sanssouci – with its rococo palace so popular the number of visitors permitted a day are limited, so go early. Also, don’t miss the Russian Colony, the Peacock Island, or the city’s markets. In summer, you can get around by bicycle which can be a lot of fun and easier than public transport.